Robert is a native Arkansan graduating from Little Rock Central High in 1983. He attended the University of Arkansas at Fayetteville earning his Bachelor of Science in Business Administration in 1987. He spent the next 13 years of his career in Southern California, working in marketing and sales management for Fortune 100 companies General Mills, Mobil Oil, and International Paper. Shortly after returning to Arkansas with his family he started his successful real estate career with Hot Springs Realty. Creating comfort and building relationships have always been Robert's forte. His attention to detail and passion for doing what's right makes him stand out as a REALTOR®. He is a member of the Hot Springs Board of REALTORS®, where he is currently a Director. He is also a member of the Arkansas REALTORS® Association and National Association of REALTORS®. 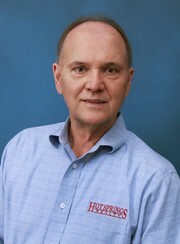 Bob joined Hot Springs Realty in January 2003 and bought the company in January 2006. He is most active in real estate sales and development of property on Lake Hamilton and around the greater Hot Springs area. He and his wife Janna, moved to Hot Springs in 2002 after a very successful business career with Century Tube Corporation. 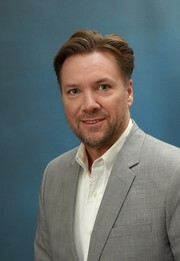 Bob served as Director of North America Sales and Marketing for over 13 years and then as President of the company for over 8 years, until the company was sold in 2001. He has served on numerous local, state, and national civic and corporate boards. He is a member of the Hot Springs Board of REALTOR® and the National Board of REALTOR®. These life-long experiences have provided him with a strong business background along with the necessary interpersonal skills needed to successfully participate in today's dynamic real estate industry. Erin is a graduate from the University of Mississippi. She has recently relocated to Hot Springs from Austin, Texas. 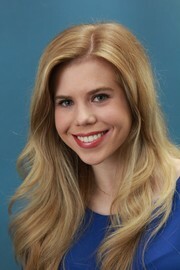 While in Austin, Erin specialized in Sales and Marketing in the Promotional Products industry. She also represented multiple companies and conducted Market Research as a Brand Ambassador. Erin has always held a keen interest for Real Estate, and she plans to obtain her Real Estate license in the near future. She is excited about breaking into the industry in Hot Springs, Arkansas!